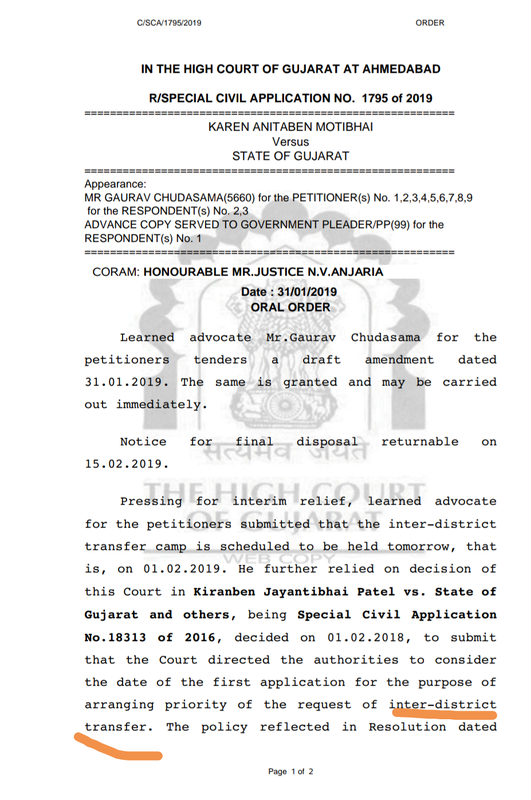 Patan Jillafer Badli camp Court Stay Order: From one district to another, Patan District will be shifted one-way to Camp: in Borasan Primary School, Ta: Patan. List of teachers coming from district fair to Patan district, and to be present at the camp, please contact the name of the caller in the list below given to your name. You have been sent from today's controller PDF.